There are five courses under the Gull Lake View Resort umbrella: Bedford Valley, Gull Lake View East and West, and Stonehedge North and South. All are excellent. Of these, I think Stonehedge South was my favorite. As with the others in the set, Stonehedge South is a big course. The holes are spread out over many acres and played mostly in isolation. Groups often will have the sensation of being the only one on the course. Stonehedge South takes full advantage of the rolling, forested terrain. Holes appear to have been “found” rather than “made.” My impression is that dirt moving was kept to a minimum. Distances from green to tee are not huge, but the holes are always distinct and natural looking. Distinct, and memorable. After each hole, I would say to myself: that was really nice. And after a short walk, the next would unfold, just as pleasant as the first. The scenery is as nice as the design. Stonehedge South is a tough walk, though. The hills and vales will take their toll on the less fit. From the back tees, Stonehedge South stretches to 6,656 yards with a rating and slope of 72.4/133. The white tees are 5,775 and play to a 68.4/124. Play this one forward and the bogey golfer will have a lot of fun. 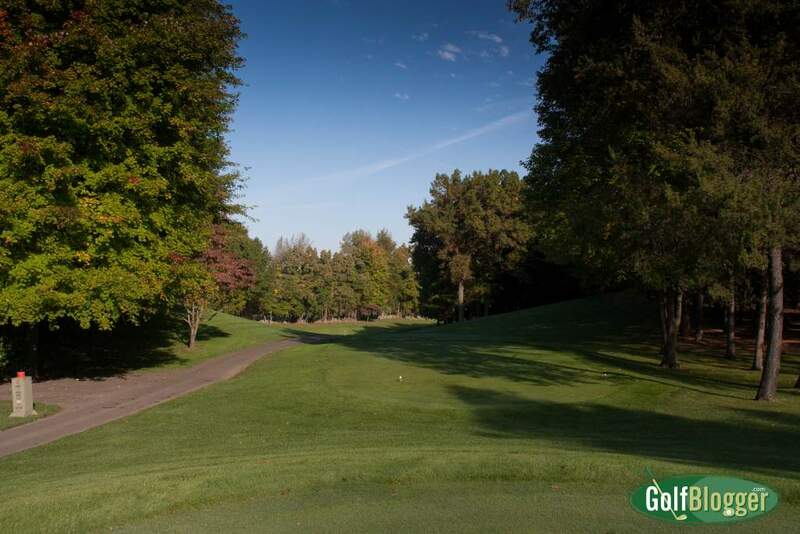 Challenge on this course is provided by elevation changes and relatively tight, tree lined fairways. Golfers who spray the ball are going to have a long day. That’s another reason to play forward. Keep the driver in the bag and go for accuracy off the tee. You’ll lose fewer strokes. Greens are relatively large and not particularly difficult to read. The course has the usual greenside bunkers and perhaps a dozen fairway traps. Interestingly, though, there’s no water on the course. Conditions on the day I visited were top notch—on par with the best I’ve played. 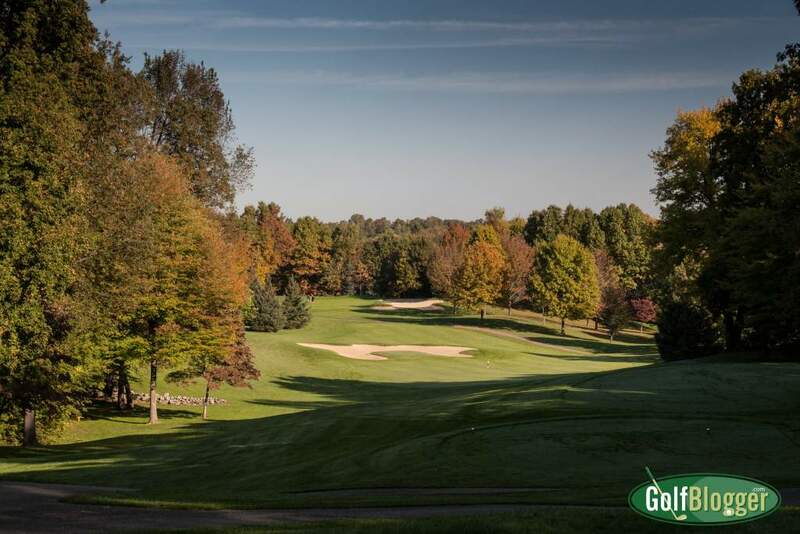 It was the fall, and the fairways had for the most part been cleared of leaf debris. The clubhouse is fairly well appointed, and the food is decent. I had a sandwich at the turn. 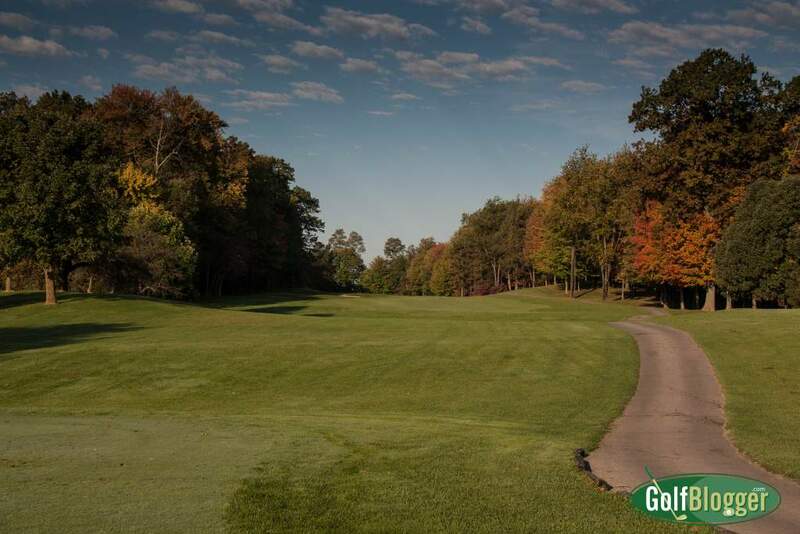 This is a course that I think is well worth the hour and a half drive from GolfBlogger World Headquarters in Ann Arbor. I am planning a return soon. The Stonehedge South Golf Course Review was first published in September 2012.